Creates a refreshing rest and low level heat absorption. 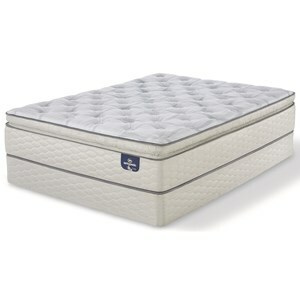 The Danielle Pillow Top Queen 13" Pillow Top Innerspring Mattress and Daniel Foundation by Comfort Bedding at Casa Leaders Inc. in the Wilmington, Long Beach, Torrance, Lakewood, Los Angeles area. Product availability may vary. Contact us for the most current availability on this product. The Danielle Mattresses, by Comfort Bedding, are Made in America with a 20 year warranty. A heavy duty Verticoil Spring, foam encased with a firm foam edge to eliminate roll off. 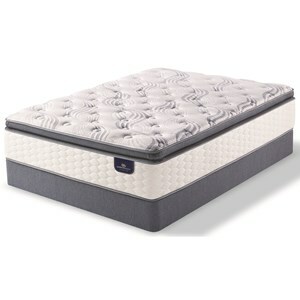 Gel Memory Foam for extra support and cushioning with out the heat of regular Memory Foam. A deluxe heavy weight stretch knit cover creates a comfortable surface to snuggle into. A great value in a luxury mattress. The Danielle Pillow Top collection is a great option if you are looking for Mattresses in the Wilmington, Long Beach, Torrance, Lakewood, Los Angeles area. Browse other items in the Danielle Pillow Top collection from Casa Leaders Inc. in the Wilmington, Long Beach, Torrance, Lakewood, Los Angeles area.